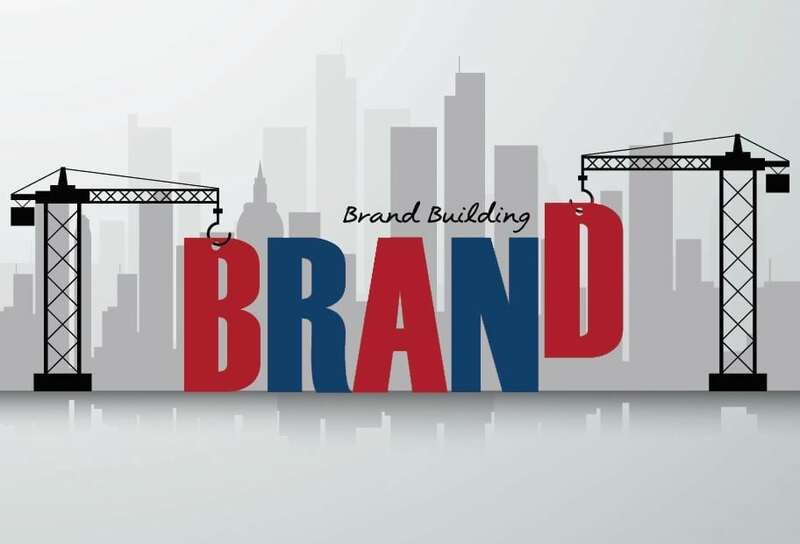 Fostering a strong brand for your construction business is important because it reflects the quality of your company and shapes public perception. By implementing the right construction marketing ideas, you’ll continually grow your brand awareness based on the specific needs of your target market. Check out these proven marketing tactics that can help you generate new leads in today’s busy environment. When it comes to investing in your company’s brand, you get out of it what you put into it. A healthy starting point is to invest roughly 5 percent of your overall revenue on marketing, which is necessary for business growth today. Once you establish a branding plan that covers all the marketing activities you want to pursue over the next year, you can create a sensible budget that meets those needs. You can also analyze what your competition is spending. If they’re marketing themselves at a higher level, you risk losing valuable business to them. If you want to design a quality logo but you don’t have employees who can do it in-house, it might be worth hiring outside professionals. You want a graphic that reflects the work you specialize in. If this can’t be specified in the image, do so with a slogan. Additionally, be sure to choose a color scheme you’re comfortable using for a long time and include your company name in the logo. Utilize hoarding signage on your construction sites. This essentially is free publicity during the duration of a project, which means no billboard fees! Practice direct mail marketing with oversized postcards and other items where your logo is prominently displayed. Pick a targeted area to test your mailing and send at least three times over a six-week period to see your results. Try to have your logo appear in as many local directories as possible. Designing a niche-appropriate logo is worth it if you want to reach the right audience. Establishing an online presence is vital to maintaining brand awareness in your target areas. Your customers often research you online before reaching out to you with requests. Your online presence is made up of many different parts, but let’s start with your website. This is oftentimes your first opportunity to make a good impression on a potential client, so be sure to invest in a platform that is visually appealing and easy to navigate. Additionally, the use of social media is now an essential part of any marketing strategy. Often delivering more exposure than traditional marketing strategies, social media sites are especially effective in terms of reaching your specific target market. These days, storytelling is a key part of any company’s marketing strategy. But when it comes to construction businesses, your story shouldn’t be that you’re the lowest bidder. The truth is, you want to find a compelling way to tell people what makes you unique. This could involve your experience, commitment to community, originality in services provided, individual employee stories and much more. What makes you special? 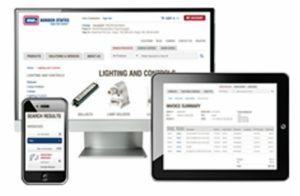 Why should customers choose you? What advantages do your products and services have in the industry? Essentially, you want to tell your story with interesting content that stands out to your target audience. The more specific your messaging, the better. Remember, your brand stands out when it screams professional, quality, value, well managed, trustworthy and reliable. Photos – They should be high-resolution images that express a narrative for your business. Thought leadership articles – This value-added content, usually in the form of blog posts, is designed to help your target audiences in their professional endeavors. This is beneficial because it gives you the chance to shape yourself as a subject matter expert. Case Studies – These involve real-life examples of how your products or services benefited your target audience. Press releases – Sending out a press release about your unique project is a helpful way to get media attention. Therefore, it’s worth it to develop media ties whenever possible. Check out this free press release template. Social media campaigns – The cool thing about social media campaigns is that they’re usually a way of promoting your services in an entertaining way, allowing you to more easily interact with specific audiences. Oftentimes, there’s some sort of incentive for participants, such as the chance to win a free item or save money on their next purchase. Through this opportunity, you can generate more likes and shares. Paid advertising is also becoming an effective way to spread the word about company products and services. With relative content you put out, you can tack on a call to action, inviting potential customers to contact you for potential help with their next project or visit your website. This is important because you’re building buzz around your company. Get accredited with an industry association – and don’t forget to network! Becoming associated with organizations like the National Association of Home Builders and Better Business Bureau, you open yourself up to clients who solely work within these groups. It’s important to join industry associations to make connections and access low-cost marketing resources. You can also set up a food and drink networking event where you can invite existing and potential clients into a fun and relaxing space. You’d be surprised at the growth opportunities that arise from these events. So, you’ve begun developing and sharing interesting content for your niche market. Now the question is, how are you going to get it in front of the people who need to see it? This is where search engine optimization (SEO) comes into play. You may have a contact list or group of social media followers to share your content with, but what if you want to broaden your scope and direct your content to additional people? With SEO, you can tweak your content back-end metrics with specific keywords and blog structures to increase the chances of your content showing up in a Google search. The best part? You don’t need to pay for SEO-generated leads. They’re free and organic. Once you attract a customer, it can be tempting to shift your efforts entirely to seeking more customers. While there’s absolutely nothing wrong with constantly seeking new customers, you want to make sure you’re maintaining positive relationships with your existing ones. It’s crucial to follow up with existing customers, occasionally checking in to see if you can provide them with any further assistance. Customers are oftentimes impressed with this level of consideration. Therefore, it’s beneficial to invest in a customer relationship management (CRM) system. If you stay in front of your existing customers and continue to provide them with helpful content or resources, such as an expo, your chances of eventually winning their business are higher. It’s also helpful to solicit customer testimonials and reviews, which are great for building trust in your brand and spreading word about the quality of your products and expertise. Yelp is a great platform for this goal. Further regarding reviews, it’s important you respond to any negative comments immediately in order to resolve potential disputes. Avoid getting into arguments with commenters by trying to share a friendly dialogue with them. This also shows your target market that you care about what your customers have to say. Many people love it when companies volunteer in their communities! Whether it’s partnering with Habitat for Humanity to build homes or putting on a fundraiser for United Way, showing commitment to community is a great way of building trust in your neighborhood.